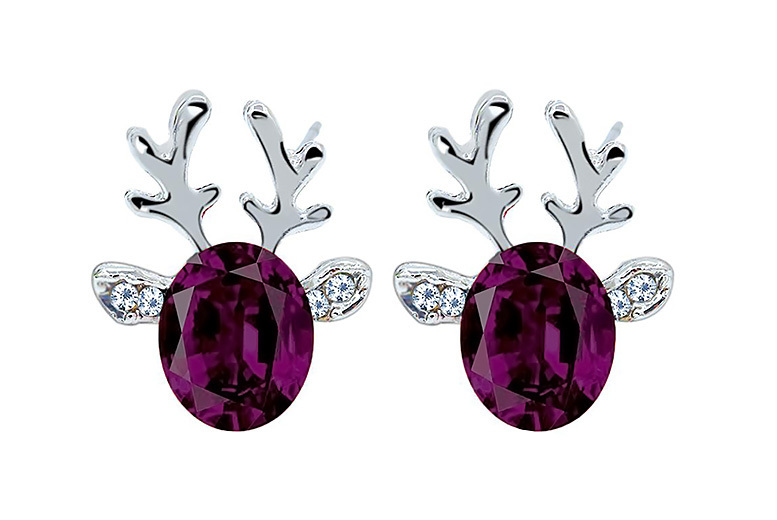 Add some festivity to your outfit with a pair of reindeer earrings! Each earring is decorated with a large crystal. The reindeer antlers are a detailed seasonal touch. A graceful and tasteful Christmas-themed gift!